Our champion native wild cherry tree (Prunus Avium) may be almost 270 years old but it still puts on an impressive display when in bloom, which it is at the moment. The tree is almost 70 ft in height (20m) and when the sunlight catches the blossom, it really seems to glow! 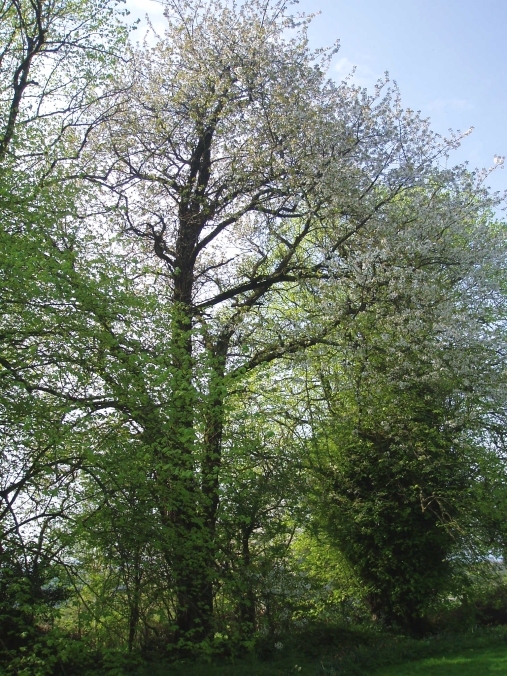 The tree forms a part of the drive leading to Croan House and Cottages and we suspect that Cherry may have been inter-planted with the Lime Trees when they were planted in 1743. This specimen is the only Blossom tree remaining now. This entry was posted on Wednesday, April 20th, 2011 at 12:30 pm	and is filed under News. You can follow any responses to this entry through the RSS 2.0 feed. Both comments and pings are currently closed.